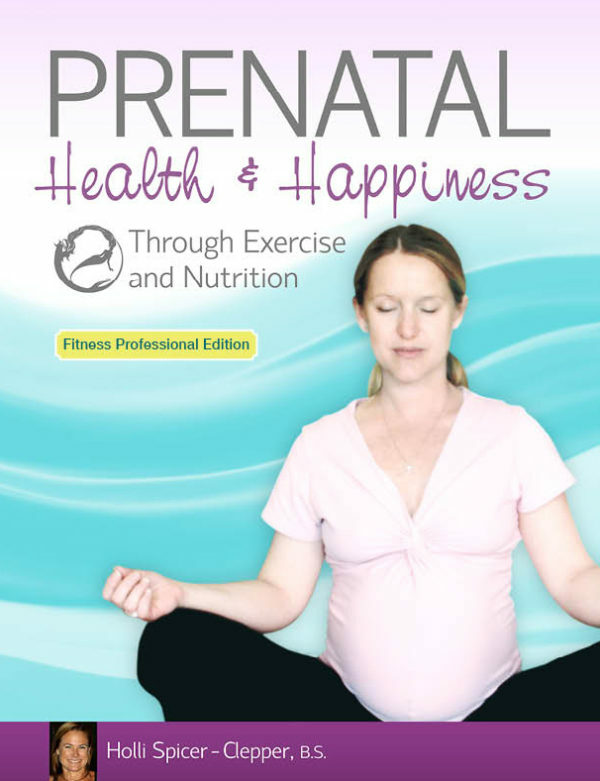 Prenatal Health and Happiness Through Exercise and Nutrition is an excellent resource for personal trainers and group fitness instructors who work with prenatal women. Through Holli’s 25 plus years of experience as a trainer, group fitness instructor and educator in the fitness industry she has developed a cutting edge course covering everything from functional exercises to alleviate pain to holistic nutrition. Understand how to relieve such issues as round ligament pain, sacroiliac joint pain and splitting of the abdominal wall. 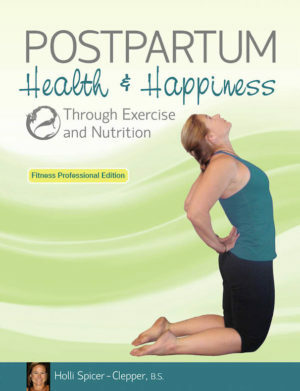 Learn in-depth yoga poses and strength training exercise to help clients ease the pain and stress that may come up during pregnancy. Understand why a holistic approach to nutrition, is a better choice than most prenatal diets to help mothers and babies thrive during pregnancy. Lastly, understand why soy is not a healthy option for vegetarians and which options promote a healthy and happy pregnancy. 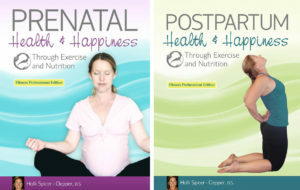 A brief introduction to breast feeding is given along with a detailed resource section. ACE approved for .8 CECs, NCSF approved for 6 CEUs, NASM approved for 1.0 CEUs, and AFAA approved for 10 CEUs.